After a 2 week break it was time to get back to the hills again. 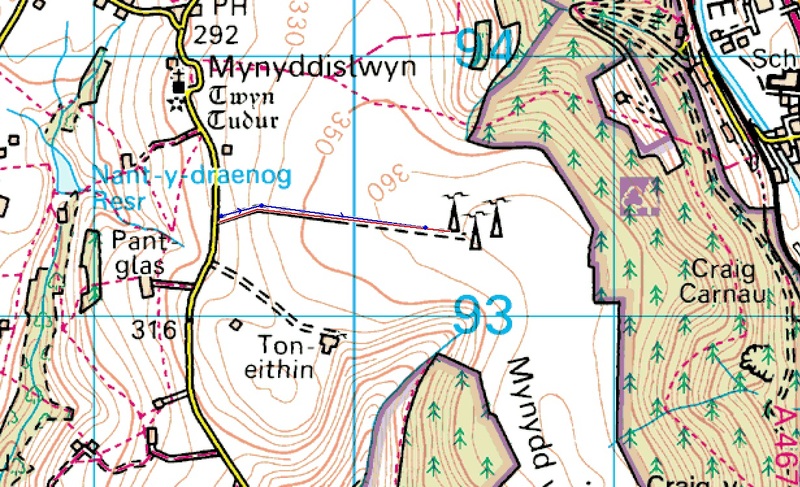 Looking at my list of hills to do and the travel distance involved, my next closest group of hills were in South Wales. So it was off to Newbridge Trecelyn near Newport for a group of three one pointers. With the days starting to draw in it was necessary to aim to be at the start point close to first light. So it was a 5am start from home up the A34 and along the M4 to Newport. As part of my planning for this trip, I checked out the Severn Bridge website to see how much I was going to have to pay for the privilege of driving into Wales. The price was as expected – £6.50 however, I noticed a section on exemptions so had a quick look – you never know! I could get a free pass with my Wife’s ‘Blue Badge’ had she been with me but I was on my own this time. However, I noted that if the car was taxed ‘Disabled’ then I could get a free pass without my wife being there. All I had to do was show my Registration Document at the pay booth and I get a free pass into Wales – result. Whilst driving across I was able to enjoy the end of the Lunar Eclipse – quite a spectacular sight given the closeness of the moon and hence its larger than normal size. I arrived at the parking area (ST 235980) at 0730, quickly booted up and set off along the track at a gentle pace for the 1.5 mile walk to the summit. The weather forecast was good for today but following a clear night and a drop in temperature, there was a thick fog hanging over the hill. This started to burn off a little towards the end of the activation. 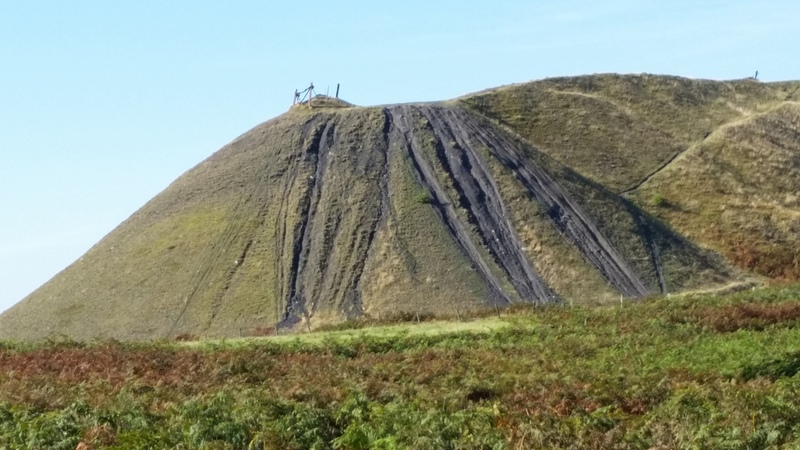 The climb to the summit is easy over a good track with a gentle incline. Distance travelled 1.5 miles, total ascent 365 feet, time taken 35 minutes. The plan was to open on 40m SSB then follow this with a session on CW however, on setting up I realised that I had left my mic in the car to it was CW only on this first hill. My last few excursions into the hills had been successful but disappointing with regard to the propagation conditions, so I was not expecting great things from today. How wrong could I have been. Within 1 minute of my spot appearing via the RBN I had a string of QSO’s from across Europe and the UK. 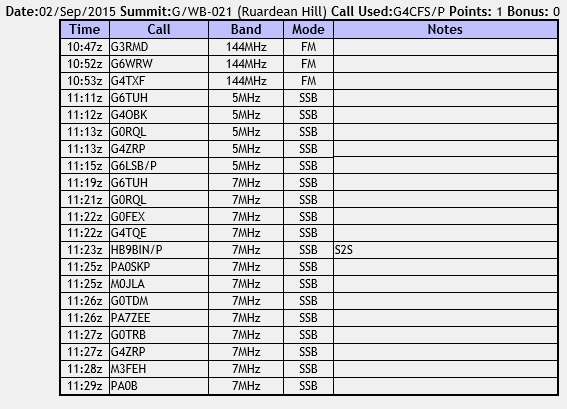 In total 12 QSO’s were logged in 10 minutes before the calls ran dry. I checked Sotawatch to see if Phil OK/G4OBK/P was available but I had already missed him so it was time to pack up and head back to the car for a coffee. It was only a 15 minute drive to the next location so it wasn’t even worth taking my boots off. 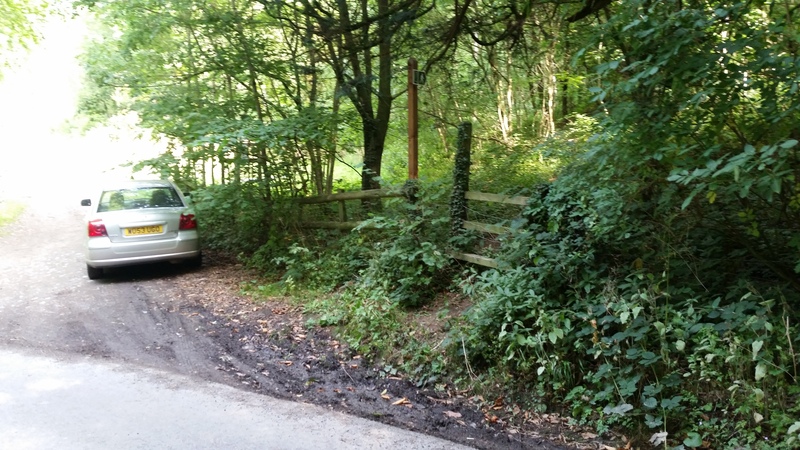 There is just about room for one car in the entrance of the track way without blocking off access (ST 194933). 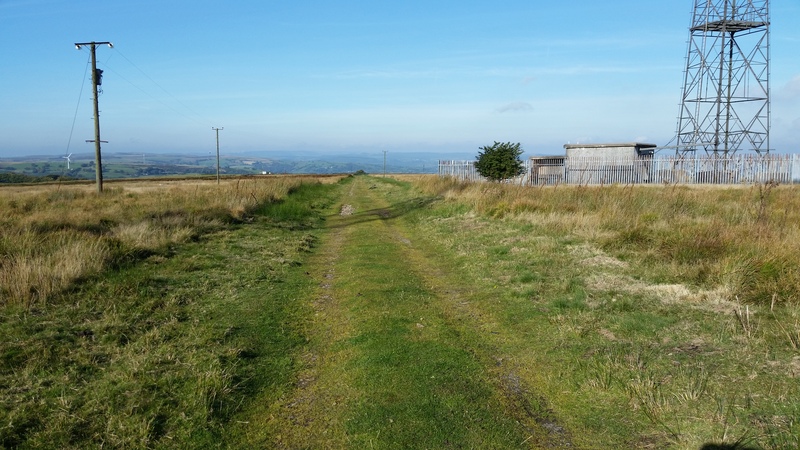 Apart from the initial steep pull up past the ‘solar’ farm this is a quick and easy walk to the disused WT towers which, although not at the summit, are well inside the AZ. Distance travelled 0.5 miles, Ascent 167 feet Time Taken 12 minutes. This time I had my mic with me so a quick check of Sotawatch showed that Phil was on 20m SSB from OK/KR-020 and was the first in the log for a nice S2S. Moving away from his frequency a self spot brought 6 QSO’s from across Europe before the QRG went quiet. Changing to 40m SSB was very fruitful with 20 QSO’s logged in 13 minutes principally from the UK with a handful of European stations. Due to having had such good run on SSB I decided not to get the key out but to head off to the last of the hills today. The view back down the hill from the operating position against the security fence. Although the drive to this hill was only 5 miles the last part in up some very ‘interesting’ steep and narrow lanes. Thankfully I didn’t meet any cars coming the other way because passing spaces were at a premium. Again there is parking for at least one , maybe two cars at the start of the track way (ST 216907). By the time I arrived here the last traces of the mist and fog had burnt off and the temperatures had started to rise enough to take the fleece off. 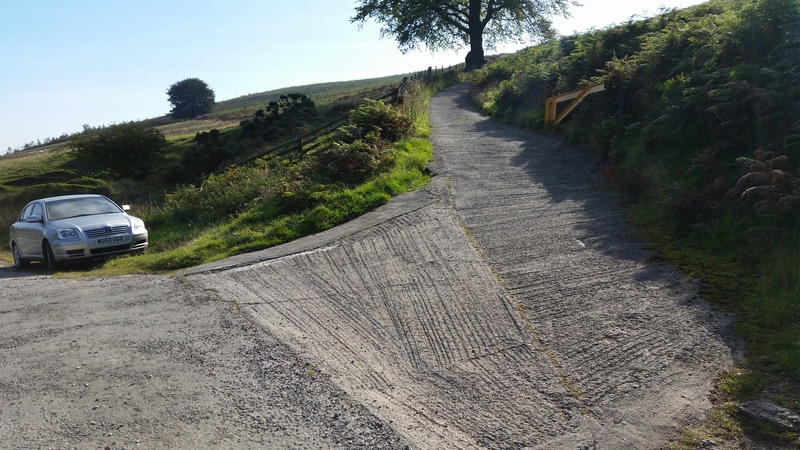 The route starts off on a very steep concrete tracked section which pulls up onto the ridgeway. Once here the walk is fairly easy and relaxing up to the radio towers and trig point. Distance 0.75 miles, Ascent 343 feet, Time Taken 20 minutes. I decided to follow the same MO as on the previous activation although there was to be no QSO with Phil this time. I opened up on 20m SSB and had a great run of 12 QSO’s from across Europe before switching to 40m SSB. 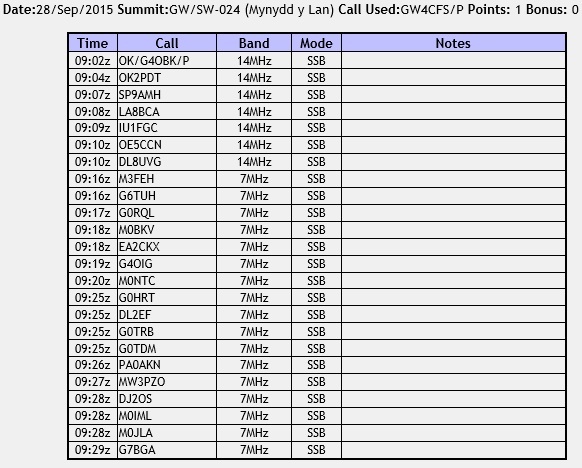 14 more QSO’s were logged before the calls ran dry. By now I was relaxing in the grass in blazing sunshine and starting to feel the effects of the early start. So before I got too comfortable I packed up and phoned the XYL whilst taking a gentle stroll back down the track to the car. and a spot of lunch before heading off home. 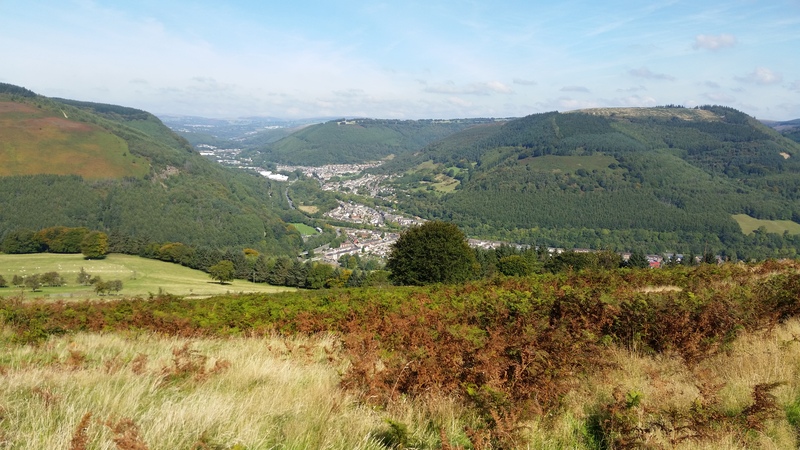 I was tempted to head to one of the hills to the west near Caerphilly but decided against it as I want to do the four hills in the Caerphilly/Pontypridd area on my next trip, maybe next week. Parking and the start of the track. mast attached to a ridgeway footpath marker post. Today has been a great conclusion to a good September of walking. 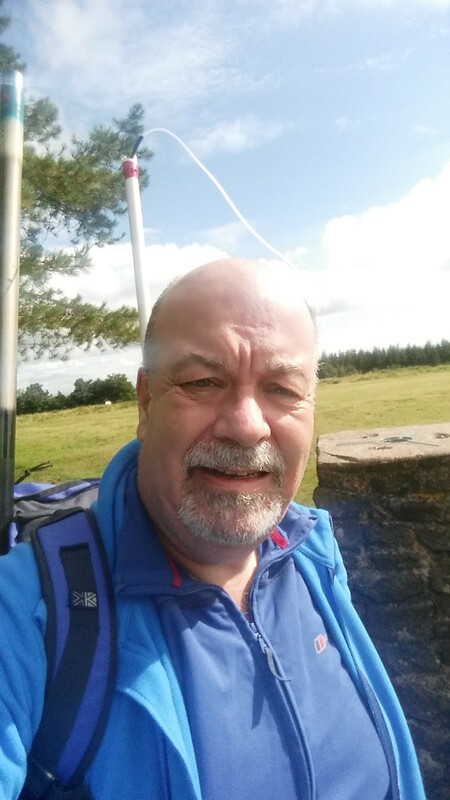 In all I have activated 13 summits during the month from Crowborough Hill in the east to Mynydd y Lan in the west, Staple Hill in the south to Worcestershire Beacon in the north. 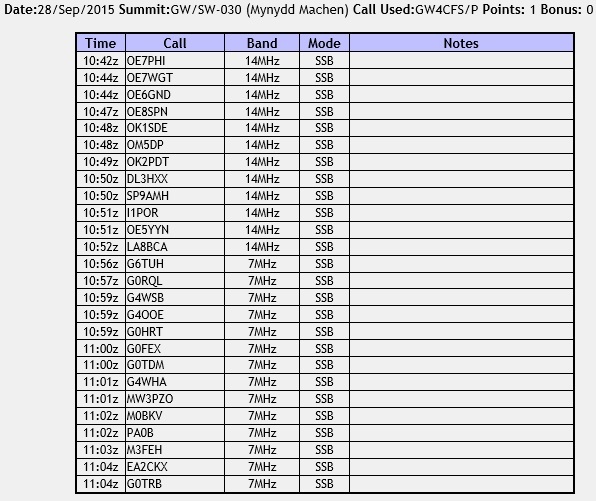 The real bonus for me wasn’t the free pass into Wales but the great radio conditions, something that has been missing from the last few activations. Thank you to all the chasers as usual because whilst the hills are beautiful and tranquil, and the walking exhilarating, the activation would be boring without you. This was day 5 of a 7 day break away from work. We hadn’t planned to go anywhere as there was plenty to be done at home. Today was originally planned as the day the carpet layer came to re-carpet the lounge. However, he had called on Tuesday to re-schedule the visit for Thursday. This meant my relaxing post activation day on Wednesday had gone out of the window as the old carpet and hardwood flooring needed to be lifted and the skirting boards glossed before the new carpet went down. As a consolation for this Mrs CFS suggested I may wish to go walking again on the Friday. Well one does not ‘look a gift horse in the mouth’ so planning started on a trip to the Malvern Hills. 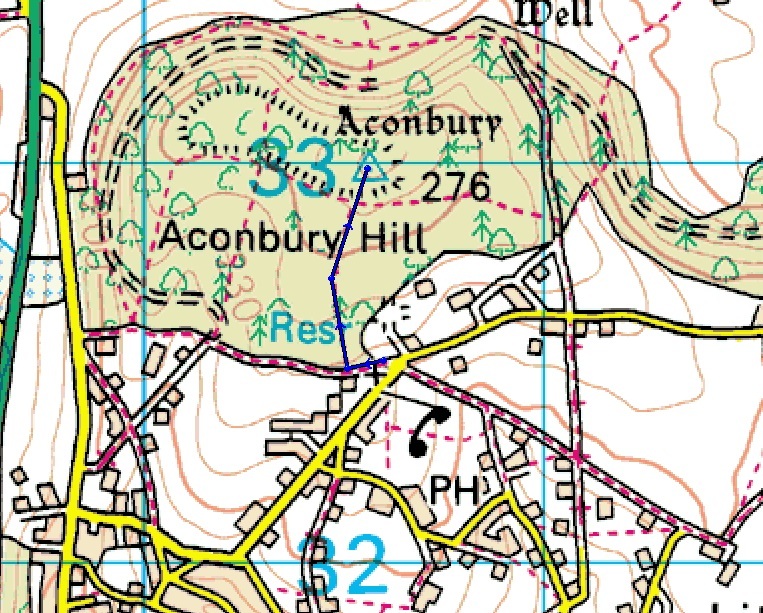 The prime targets were to be Worcestershire Beacon and Seager Hill with Aconbury Hill as an extra if time permitted. 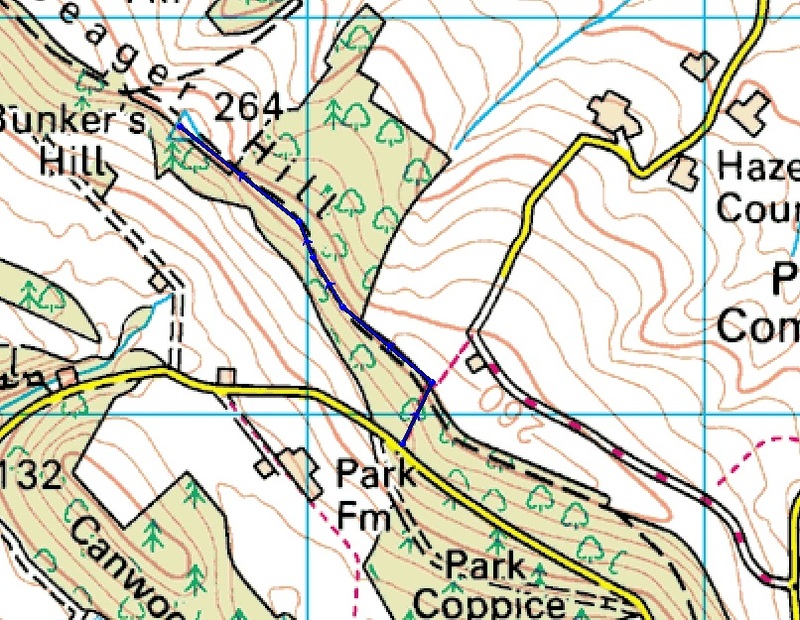 As it worked out I activated all 3 hills plus managed to activate Garway Hill G/WB-013 as well whilst I was in the area. Left home at 6am on a beautiful though misty morning and headed for Great Malvern. 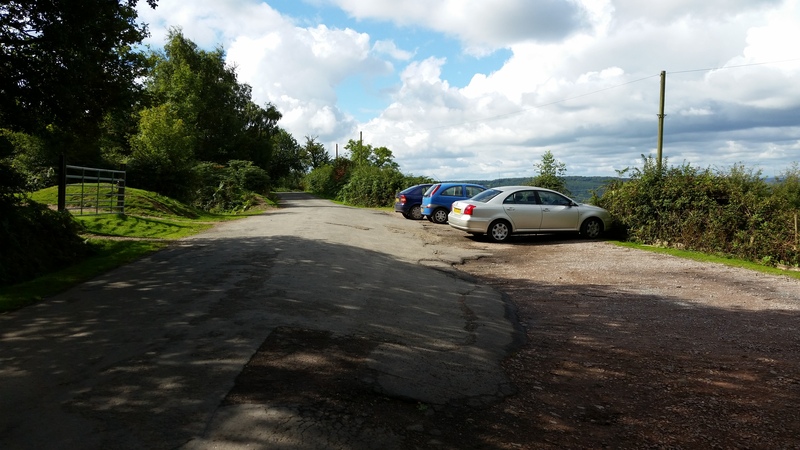 The Car Park on Beacon road (SO 768 439) was virtually empty when I arrived at 8:45, so it was boots on £3 parking ticket paid and off up the ‘road’ to the summit. As you approach ‘The Beacon’ from the east it looks very daunting but the walk to the top is fairly easy and completed in 20 minutes. Distance 0.8 miles, ascent 448 feet, time taken 20 minutes. 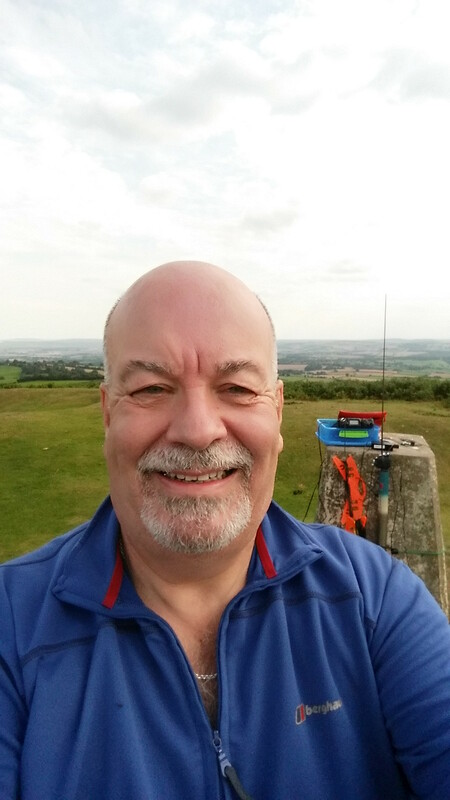 Whilst at the trig point I put out several calls on 2m FM but only managed one QSO with M0JMM/M on the M5. So I dropped down a few feet on the leeward side to one of the many benches that festoon the summit area. Self Spotting 60m SSB and numerous calls resulted on no response so a switch to 40m SSB, but the same pattern, no result. So finally to 40m CW and eventually after 15 minutes of trying stations started to call in though very slowly. Managed 7 CW QSO’s including a S2S with Jan OK2PDT/P on OK/US-068. There being no further business the meeting was adjourned to the next hill. 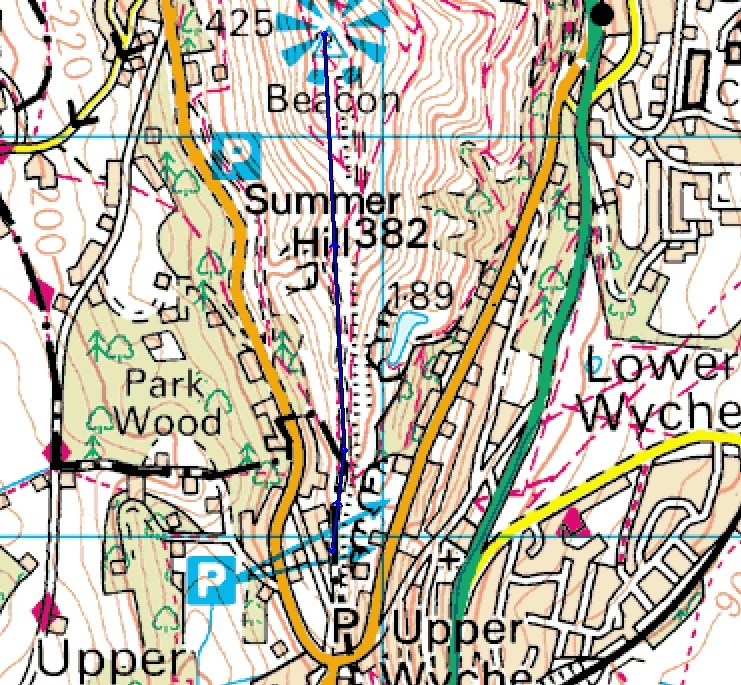 Seager Hill is a 20 minute drive from ‘The Beacon’ and I parked up near to the entrance to Park Farm in a broad gateway leading into the wooded area where logging is currently going on (SO 622379). The stile to the footpath is immediately to the right of the parking area. The initial part of the walk is up though the woods for about 200m on to the ridge which is within the AZ, however, I decided to walk to the trig, or as close to it as I could get through the undergrowth. Retracing my steps to a suitable fence post and set-up the station. Distance walked 0.7 miles, ascent 154 feet, time taken 20 minutes. 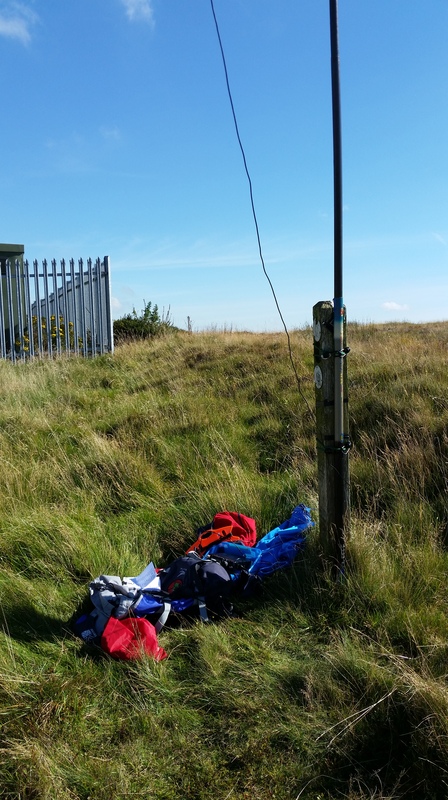 The same problem occurred as was experienced on the previous hill in that there was absolutely no response to any calls on 60m & 40m SSB. 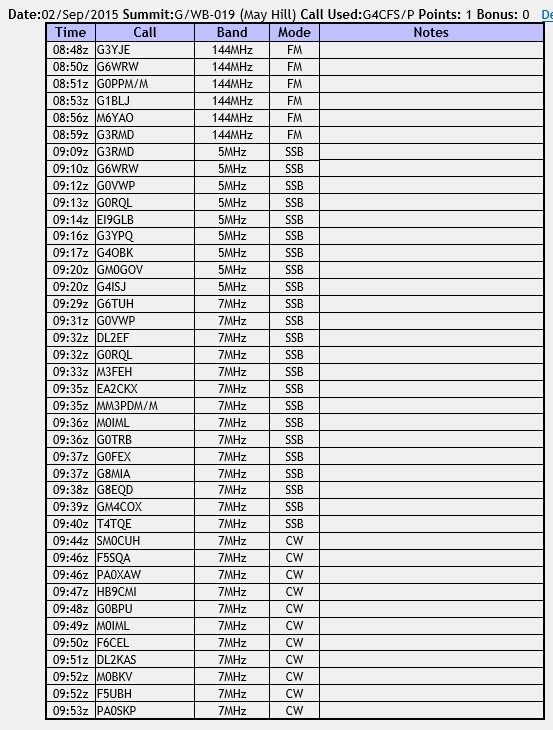 So it was back to good old reliable CW and 8 stations in the log including S2S’s with Miroslav OK1DVM/P on OK/JC-047 and Jan on OK/US-031. A further check was made of 40m SSB but with no joy at all, so all packed up and headed back to the car. 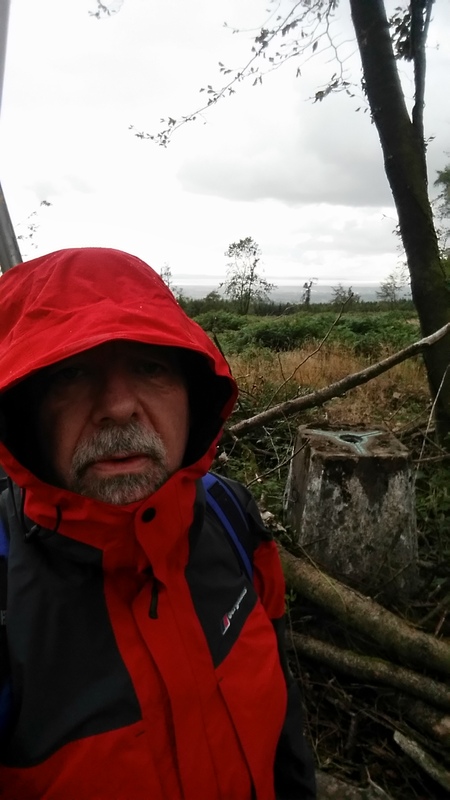 By this stage I was well ahead of schedule due to the lack of SSB so was able to head for the reserve summit of Aconbury Hill. Parking up in front of the chapel where there is room for a couple of cars (SO 506325). Follow the obvious track for about 100m to a large gate on the right. 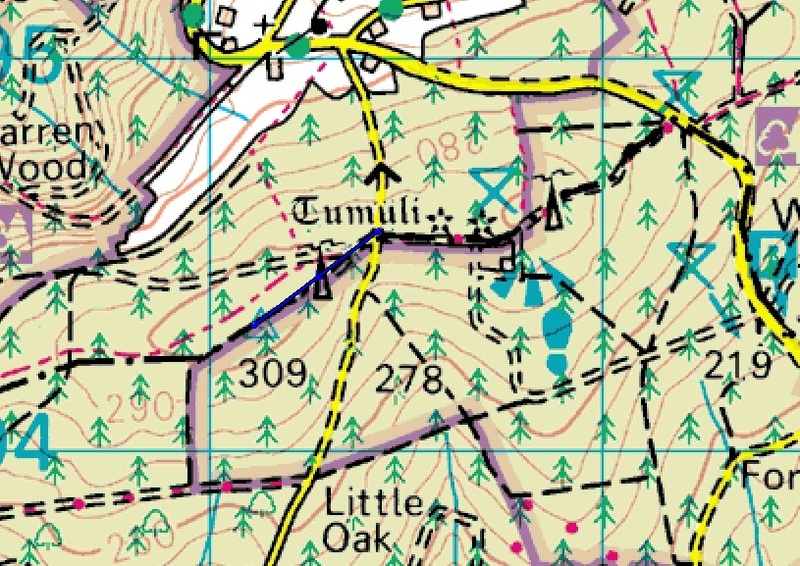 Take the track straight to the top of the hill at a T-junction, turn right then bear left up a slight rise to the trip point. Distance 0.4 miles, ascent 142 feet time taken 10 minutes. I don’t normally like wooded summits due to the problem with rigging the aerial however this one is different as there is a large grassy clearing around the trig and a convenient hole in the top of the trig for the mast. By this stage I had given up on SSB so went straight for 40m CW and after several calls started a string of 9 QSO’s in half an hour. The propagation was similar to the previous two summits in that the skip was well into Europe with only one G worked all day on HF. This summit produced 3 S2S’s with Gerald F6HBI/P on F/AM-379, Victor EA6/GI4ONL/P on EA6/MA-006 and Aage LA1ENA/P on LA/TM-049. Once back at the car and a check of my schedule I realised that I was at the point I had planned to come off of the previous hill, so I was well ahead of schedule and decided to add a fourth hill to the day. 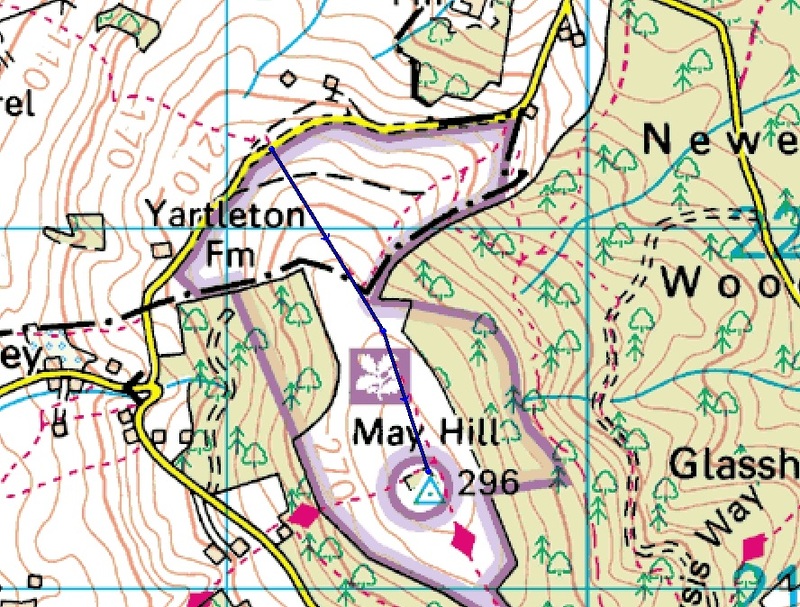 So it was off to Garway Hill, fortunately I always carry maps and GPS info for all hills within the area I am walking. Parked up at the end of a rough track (passable by car) in a small car park with room for about 4-5 cars (SO 443247). Through the gate and the hill heads up to the right. This is one of those ‘beautiful’ hills with its rolling fields and patches of ferns and close cropped grass being maintained by the sheep – a real pleasure to walk up. 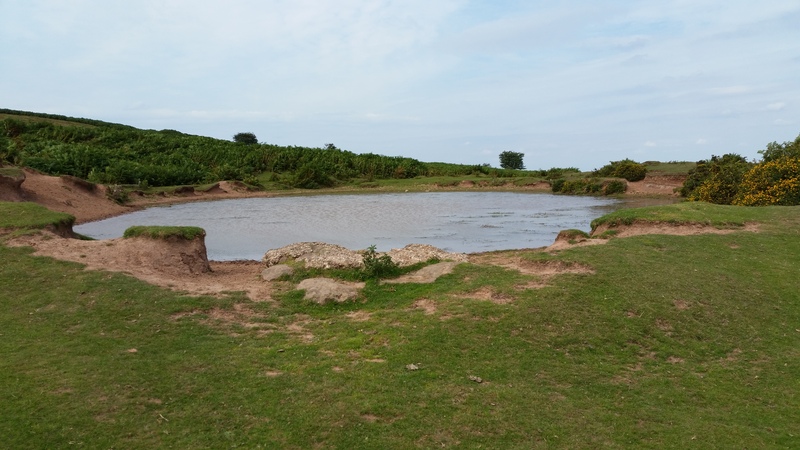 The path to the top is obvious and an easy walk, just stopping for a short while to study the earthworks of a pre-historic farming settlement (Masters in Archaeology) and the large pond near the summit. Distance 0.5 miles, ascent 232 feet time taken 15 minutes. 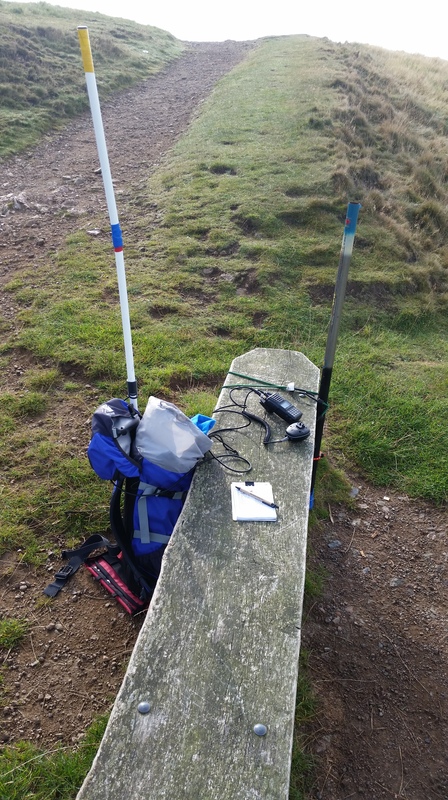 Station was set up on the trig point and I started on 40m CW calling for several minutes with no reply. Tuning around the band found very little activity – was the sky totally broken? Found a couple of stations to call before settling back on my own frequency and calling again. Eventually I started to be called but struggled to work 4 more stations with very heavy QSB. To those that did call me thanks very much as I was worried I wouldn’t qualify the hill. Back at the car I took a break to eat some lunch before heading back to Southampton. Today had been an excellent days walking in the sunshine but a very frustrating radio day. This has been a bad summer for radio but today was the worse I think I have witnessed this year. Thanks to all the chasers, your company is always appreciated and thanks for the 6 summit to summit contacts. 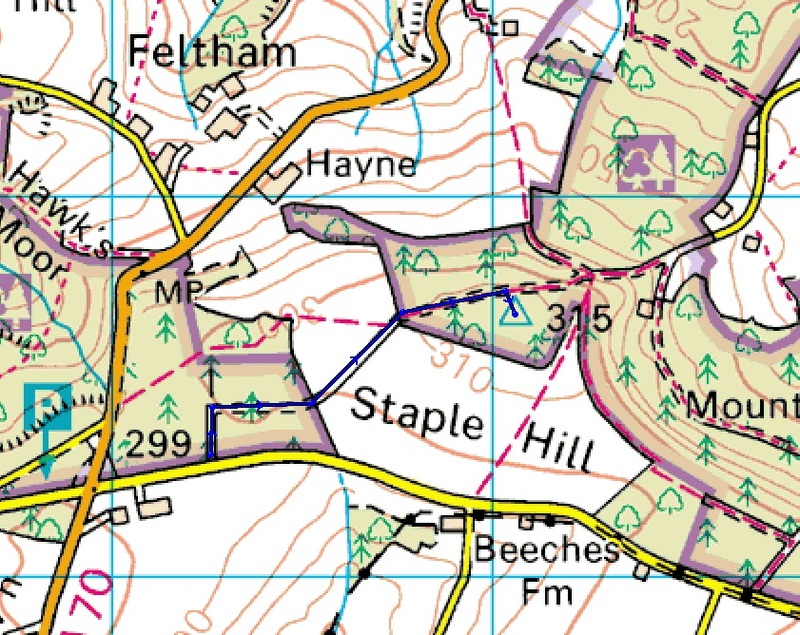 Chaser of the day goes to Chris F6EAZ for working me on 3 of the 4 hills, only missing out of Seager Hill. Total distance walked 5 miles, total ascent 976 feet. 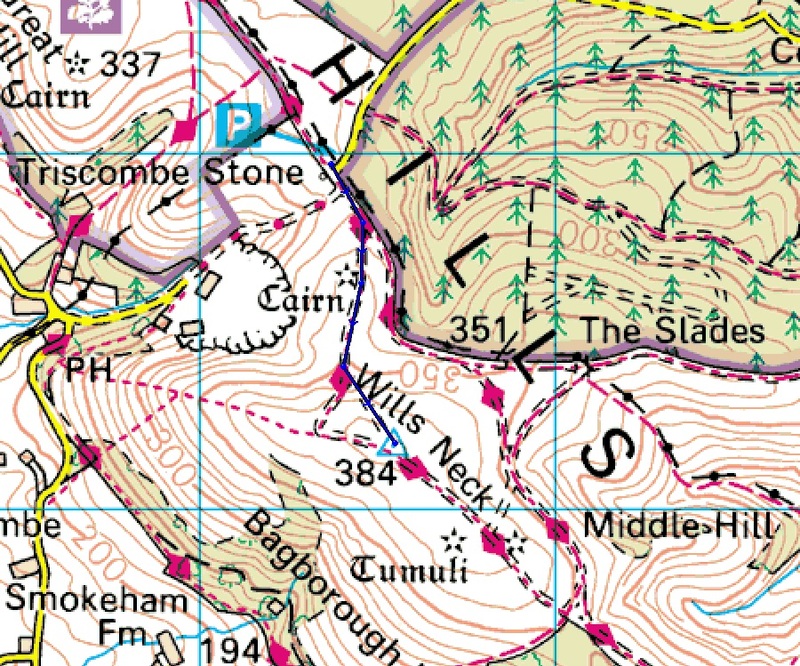 Yesterday marked the start of 7 days off so the plan was to try and get across to West Somerset for a couple of days to activate Staple Hill, Wills Neck and the 3 summits on Exmoor staying overnight in Minehead Youth Hostel. However, Mrs CFS had other plans, in addition to her beautification (G/SE-007 blog). She had decided that new lounge carpet was being laid on Friday so the old ‘hard wood’ flooring had to be lifted and the lounge re-decorated! This put pay to the 2 day exped but she was happy for me to spend Tuesday ‘on the hills’. 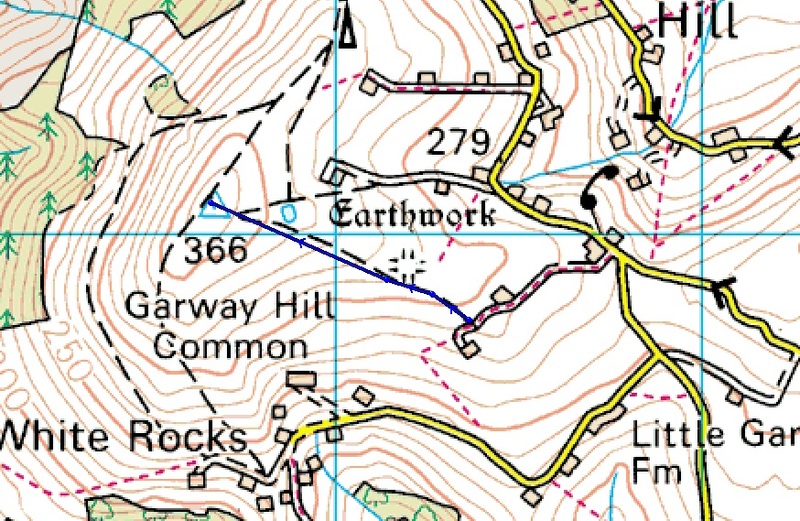 As the 3 on Exmoor includes Dunkery Beacon (2 pointer) that would be better done when the winter bonus is in force so it was off to Wills Neck and Staple Hill. Decided today to have an early start and beat the traffic on the A34 and A303, so it was up at 5.30 and on the road for 6.00. 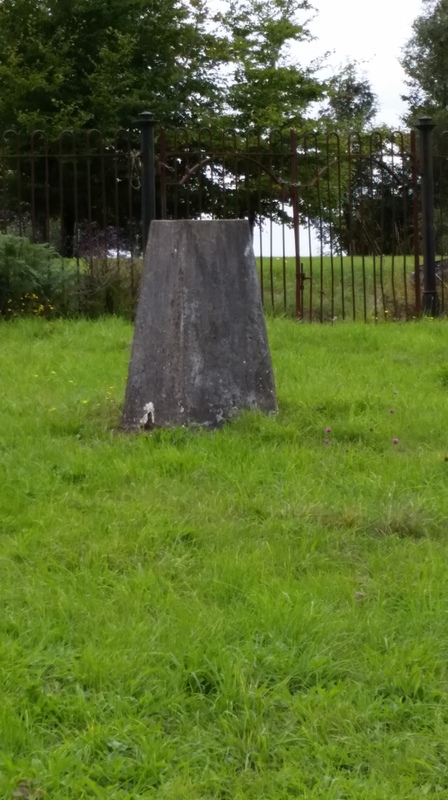 A very pleasant sunny drive down to the Quantock Hills got me to the northerly Car Park where the pre-historic Triscombe Stone can be found (ST 163359). Set off through the gate at the eastern end of the car park and almost immediately you enter a small clearing with the main track going straight ahead and two smaller tracks heading up to the right. Take either of those two right hand tracks, they join up later, and follow them clear of the woods and onto the side of the hill. About half way up the hill there is a fork in the track. Either will take you to the top however, the left hand fork will take you directly to the trig point. The walk up is easy, distance 0.6 miles ascent 215 feet time 17 minutes. A quick call from the trig point on 145.500 netted G0VFK in Ilminster but nothing further, so a move to a suitable location close-by for HF. I really struggled today on two counts. Firstly the band conditions were abysmal and even the reliable 60M wasn’t playing ball today, and secondly I had left my phone at home so was unable to self spot on SSB. That was not the only problem with leaving the phone at home. I don’t wear a watch as I use the phone for the time and I also have the Sotawatch App to see who else is about. So today I was activating blind in the good old fashioned SOTA way, relying on the chasers to spot me. I managed 2 QSO’s on 60m but got no response to my calls on 7.118Mhz so a switch to 40m CW would at least get me spotted by the RBN. This QSY brought in a small string of QSO’s including a S2S Mirko S52CU/p on S5/JA-029. 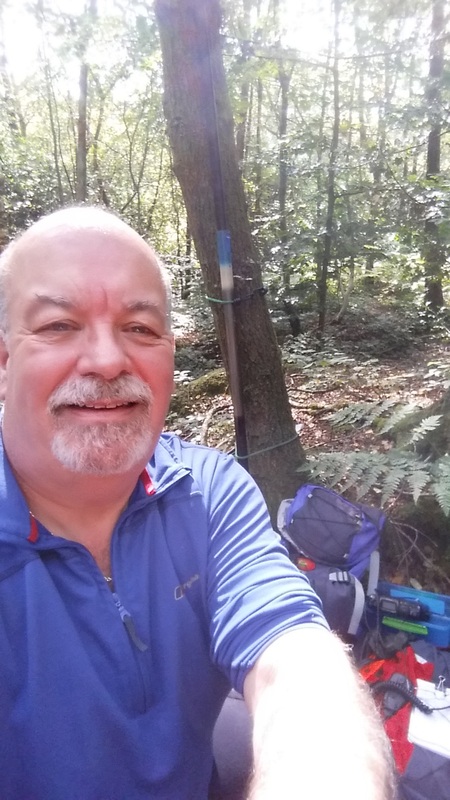 Having just finished on 40m CW I heard John G4TQE/P on Periton Hill G/SC-006 calling CQ on S20 so a quick call to him and another S2S in the log. Sorry no photos today as I use my phone for that as well – its not until you don’t have it that you realise how much you can come to rely on the modern smartphone. From Wills Neck to Staple Hill is about a 45 minute drive across central Somerset. I chose to park up at the gate into the wooded plantation (ST 232163), there is room for 2 or 3 cars without impeding access through the gate. This is an easy walk along wide, well maintained forestry tracks, distance 0.7 miles, ascent 65 feet time 15 minutes. 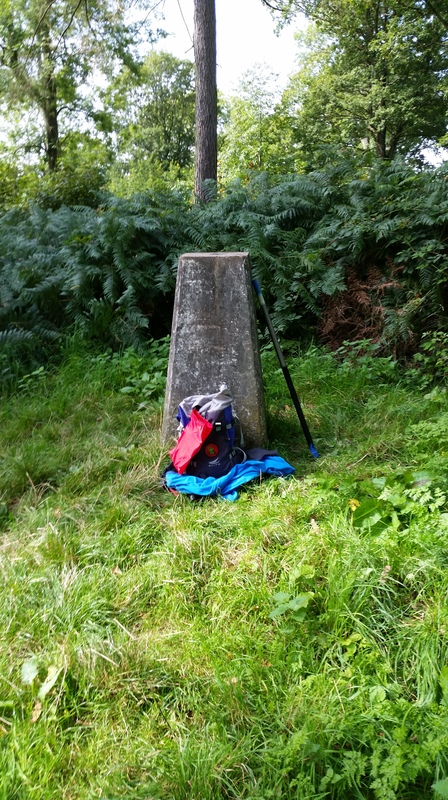 The only hard part of the whole walk is finding the trig point in all the undergrowth. Having eventually located said trig I tried VHF to no avail so set up for HF. Band conditions hadn’t improved since earlier in the day and numerous calls on 60m resulted in nil response. The same thing happened on 40m SSB – a big fat zero, not helped by the inability to self spot. So it was off to reliable old CW and the wonderful RBN. A steady flow of 5 QSOs appeared in the log including 2 S2S’s with Heinz HB9BCB/P on HB/BE-116 and Colin G8TMV/P on G/SC-009. A quick switch back to 40m SSB and a check of 7.160Mhz bagged John GS0OOO/P on The Ben GM/WS-001 for the final and 5th S2S of the day. On that happy note I packed up and made my way back to the car for a pleasant 2 hour drive home and a relatively quiet A303! The carpet man is now coming on Thursday so I may be allowed out to play again on Friday – watch the alerts for more info. Todays activation had been on the cards for sometime. About 3 months ago Mrs CFS booked to have her eyebrows done in Brighton which meant I would get a couple of hours free to do an activation in the local area. Originally my plan had been to do Ditchling Beacon SE-006 however, having added that to my SE Tour of the 6 July 2015 I had to think of an alternative. Crowborough is one of those hills that stands out on its own and not particularly easy to lump with other hills to make a worthwhile day out, so it made perfect sense to activate that one on this quick visit to Brighton. Crowborough also has the advantage of being a ‘drive-on’ summit therefore making it easy to activate when time is of the essence. Having dropped the XYL off at her parlour I headed off to Crowborough. 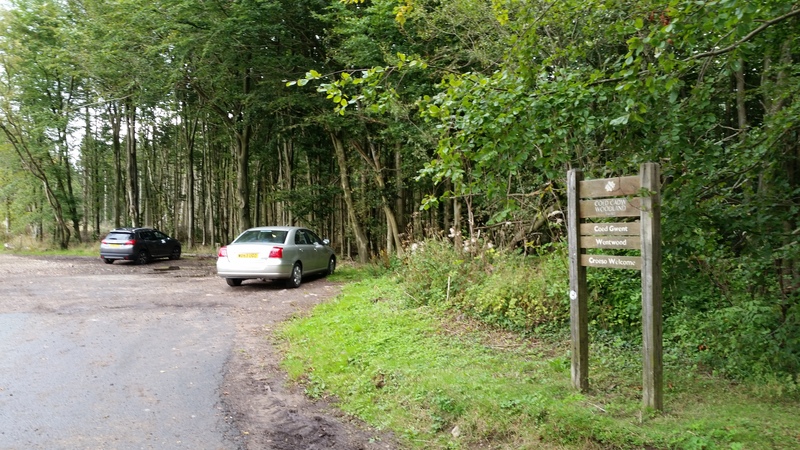 Following the lead of Richard G3CWI and Phil G4OBK I parked up at the Golf Club in the Visitors car park (TQ 506298) and found a footpath into the woods behind the car park. Once in the woods a suitable clearing was located and the station quickly set up. After a self-spot I started on 60M SSB and got a good 6 QSO’s in the log. Once the band went quiet I opened the links for 40M and self-spotted. I had just put out a couple of Cq’s when I heard a ‘twang’ and looked up to see half the dipole part company with the tee piece. I considered carrying out a repair on the aerial but was also aware of the time and the fact that I had an hours drive back to collect Mrs CFS. So the decision was made to pack up and head for Brighton. 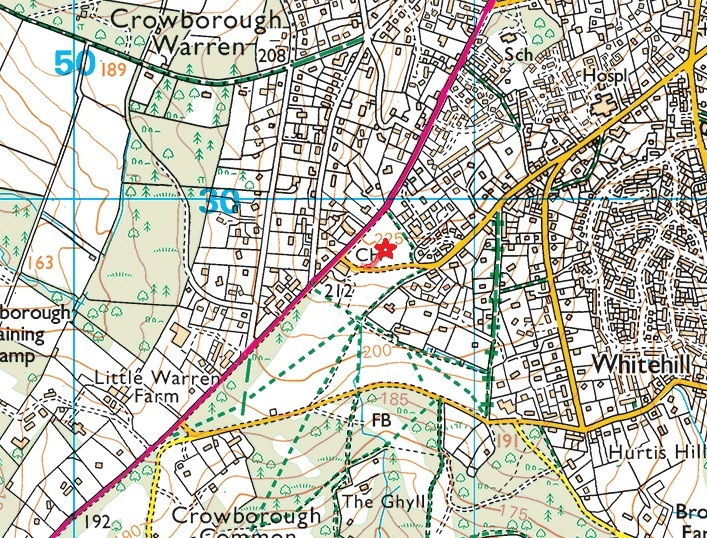 My apologies to those that wanted a QSO from Crowborough on 40M, I will be back there next year for her repeat appointment and will complete what I started then. In order to activate uniques I am now starting to have to travel further from home, so after a 2 hour 15 minute drive I arrived at the car park to the North West end of May Hill SO 690222. The views from the car park over the Wye Valley towards the border country are very impressive and set me in a good frame of mind to get to the top of the hill for some better views. The weather was uncharacteristically dry and warm with a clear blue sky so it was off up the obvious path towards the wooded summit. The walk up is straight forward and fairly easy and was very quickly at the summit. 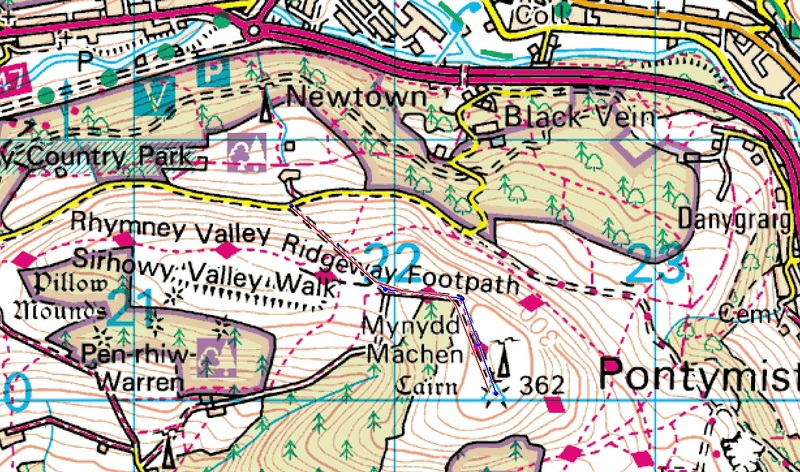 Distance travelled 0.37 miles, total ascent 231 feet time taken 15 minutes. 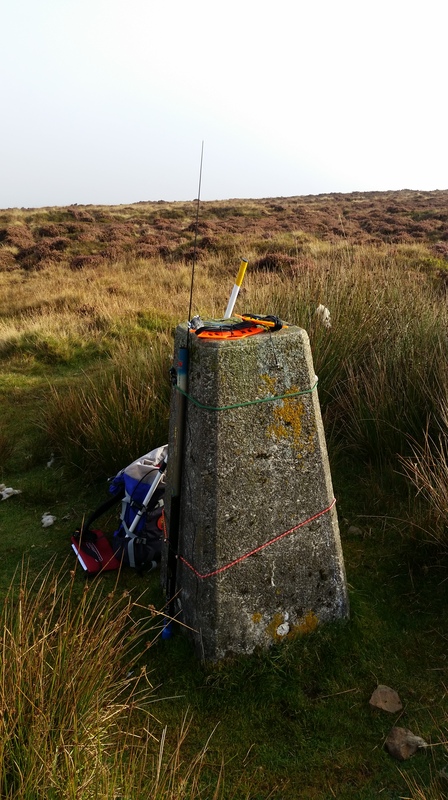 Starting at the trig point I self spotted 2M FM and logged a quick 6 QSO’s whilst at the trig point before moving a short distance away to set up the HF leaving the trig clear of wires for the steady flow of walkers passing through. Unlike other recent activations, 60M and 40M seemed in fine fettle this morning. Starting on 60M I quickly had 9 stations in the log before the silence prevailed. Switching to 40M SSB brought a steady 14 QSO’s with good solid reports from across the UK plus 1 in Germany and Spain. 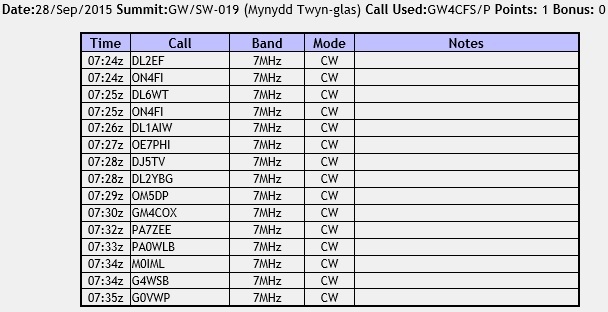 Changing to CW added a further 11 contacts this time though the majority coming from Europe and only 3 UK. There was definitely a clear demarcation between SSB and CW with regard to the propagation and it wasn’t due to the ease of copying CW as I was receiving good reports in both modes. 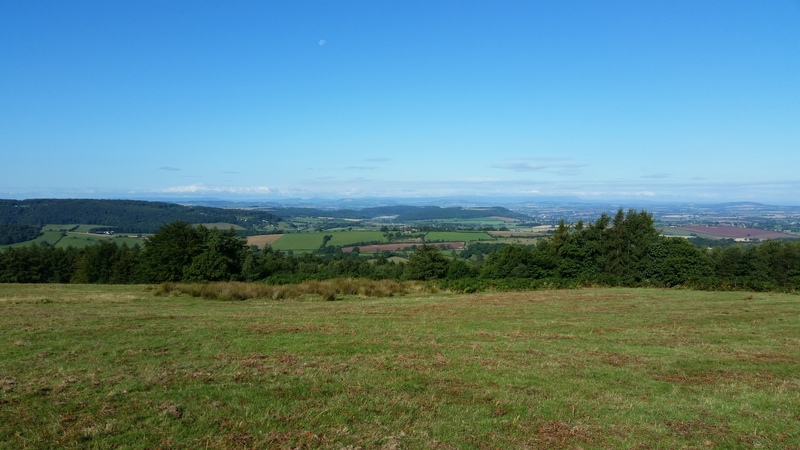 I had spent longer on May Hill than originally planned due to the good number of QSO’s so it was a quick walk back to the car and off to the next location – Ruardean Hill. 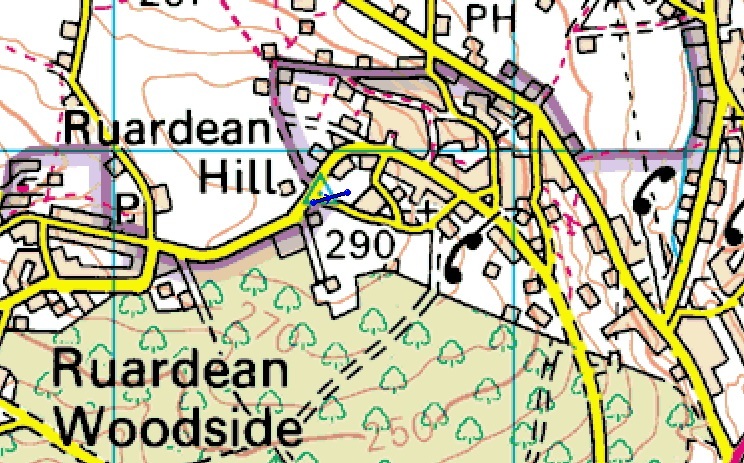 Ruardean Hill was only a 15 minute drive from May Hill and I parked up by the Sports and Social Club (the home of the Ruardean Hill ARS) inside the SOTA AZ. The trig was locked up within a secure compound but operation is possible within the WAB AZ. Initially I started on 2M from the wall at the side of sports club opposite the trig, this netted 3 QSO’s before I de-camped to the woods immediately to the east of the secure compound to set up for HF. During the short drive across the weather had made a dramatic change from clear blue sky to cloudy and threatening rain. Opening up on 60M I managed 5 QSO’s before changing to 40M SSB which brought in a further 13 QSO’s including a S2S with Jourg HB9BIN/P on HB/FR-019. However, just as I pulled my palm paddle key out of the rucksack the heavens opened and forced a premature end to this particular operation. Originally I had planned to do just the 2 hills on this trip but the evening before decided to add this easy ‘drive-on’ hill to the itinerary. 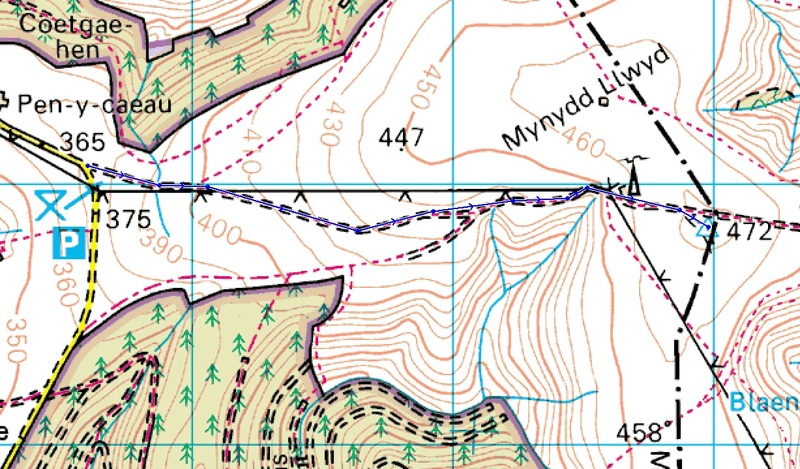 It was added to two reasons – firstly it was near-ish to the other two hills and secondly I had never activated a Welsh hill before and it seem churlish when this close not to. 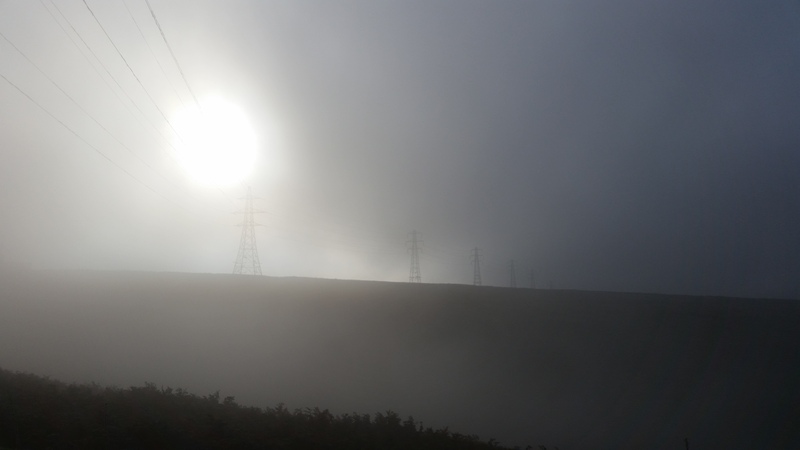 I parked up in the car park ST 414945 and followed the path past the transmitter tower for about 400 metres to the trig point which is not easily visible from the path but there is an ephemeral path which leads straight to it at the highest point of the track. Following the same MO as with the previous two hills, I started on 2M FM but only managed 1 QSO into Dorchester! Nothing from Newport or Bristol, later Don G0RQL said his squelch kept lifting but there was nothing there – strange. So onto 60M and a nice steady 6 QSO’s in the bag including a S2S with Barry M0IML/P on Cheriton Hill G/SE-015 before the heavens really opened up this time. The previous clear view of North Somerset and the Severn Bridge had disappeared into the mist and rain. So it was an even quicker de-camp and back to the car for the 2 hour 15 minute drive home along the lovely M4.